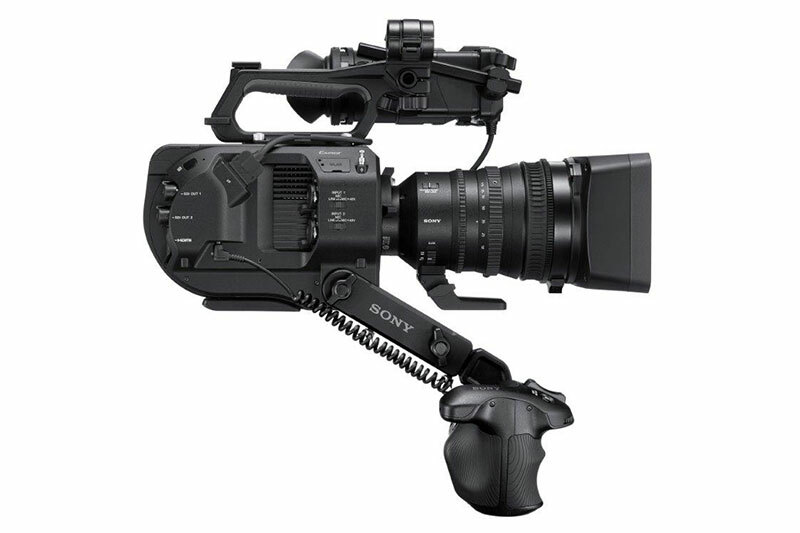 The Sony PXW-FS7M2K packages the new FS7 II with the SELP18110G 18-110mm zoom lens. Expanding on the FS7, the FS7 II includes, among other updates, a Variable ND Filter and a Lever-Lock Type E-mount – a mount that makes it possible to secure a long zoom such as the 18-110mm that would otherwise be too hefty and require lens support. The SELP18110G. This 18-110mm Super 35mm E-mount Lens covers Super35mm and APSC sensors. 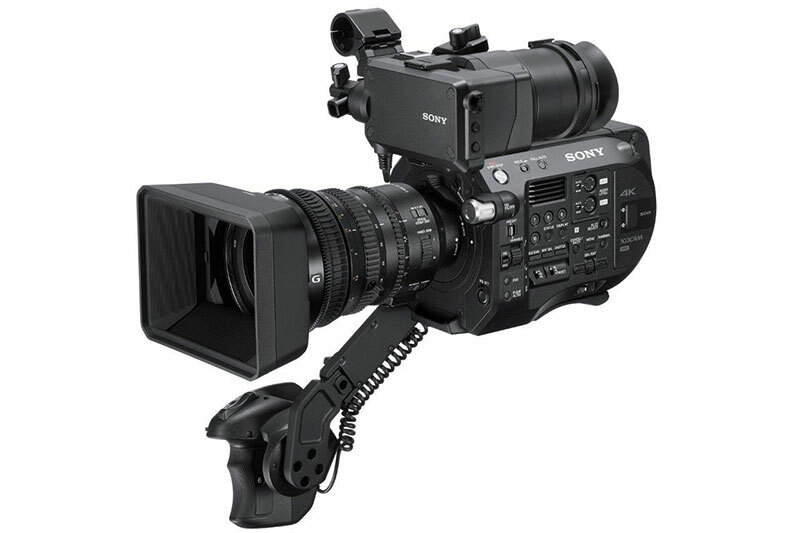 It uses a fully mechanical/servo zoom switchable system that boasts an impressive 6.1x zoom range with a constant F4 maximum aperture. Weighing in at 2.4lbs, the lens is compatible with Sony’s α Mount System and can be used on the A7 series as well as professional cameras like the FS7 II. The FS7 II versus the FS7. Out of the many carefully altered improvements that improve FS7 II over its previous version, the most visible changes are the viewfinder support system (easier to stabilize, better hood and eyepiece) and the SmartGrip arm (now repositionable, doesn’t require tools to do so). 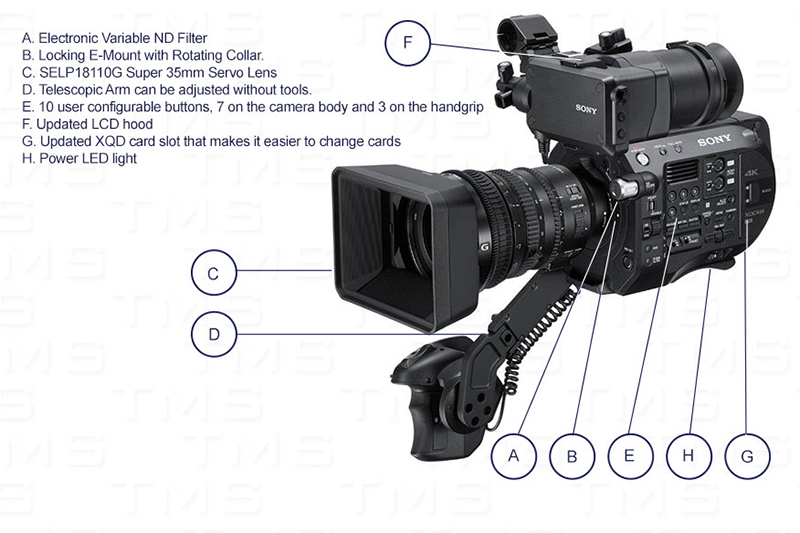 To get a more in-depth review of the changes, check out our TMS Blog Post on the FS7 II or the PXW-FS7M2 camera body product page.